In this simple lighting tutorial, I discuss three different ways to fashion and portrait images with a single beauty dish. Adding to my list of simple lighting tutorials here on Fstoppers, here is another short studio lighting tutorial. In the video above, I break down three simple lighting setups using a single Westcott Rapid Box Beauty Dish and a Profoto D1 500w. 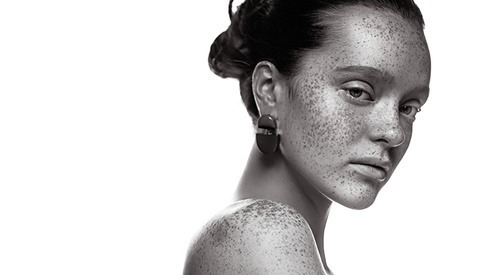 Anyone who's used a metal beauty dish knows how difficult it can be to travel with them. It's just simply not practical. If you want a more portable solution and don't feel like renting one, the Westcott Rapid Box Beauty Dish is a great alternative to your standard beauty dishes because it collapses into a small bag that you can mount right onto a rolling bag. They're light, portable, and extremely simple to put together too, but in the event you don't have one, don't worry, the lighting tips that I mention in the tutorial above can still be created using your standard metal beauty dish. With that being said, I've used this same modifier to create an assortment of beauty and fashion images over the last year. Rather than bore you with details, I'll post photos that I recently had published in a gallery below. Canon 7D Mark II with a Tamron 90mm f/2.8. Profoto D1 500w with a Westcott Rapid Box Beauty Dish. Rogue Super Soft Silver Reflector. Profoto D1 500w on Background with Zoom Reflector and Colored Gel. Don't get me wrong - I'm loving these vids - but this one came over like a commercial for wescott. 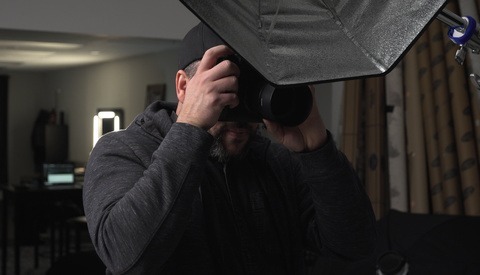 I would like to mention that in my pov the older "three ways to use a beauty dish" is more educative and I would like to thank Jeff for all his contributions! You're right it is an ad for Westcott, but that's okay because the ad has actual useful content. I don't mind that a tutorial is in conjunction with a product, as long as it has something that helps educate. I watch just about about all of Jeff's tutorials, he's good at explaining what he does.